Or my version thereof. This is one of those experimental cooking things that turned into a family favorite. I could eat this pizza at least once a week, and it wouldn't be all that unhealthy except for I eat cheese like there might not be any tomorrow. I have an unhealthy obsession with my bread maker, or more like bread in general. I found a homemade pizza dough recipe awhile back that I fear cannot be beat. And I'm not particularly fond of change, so I see no reason to branch out from the dough we love. 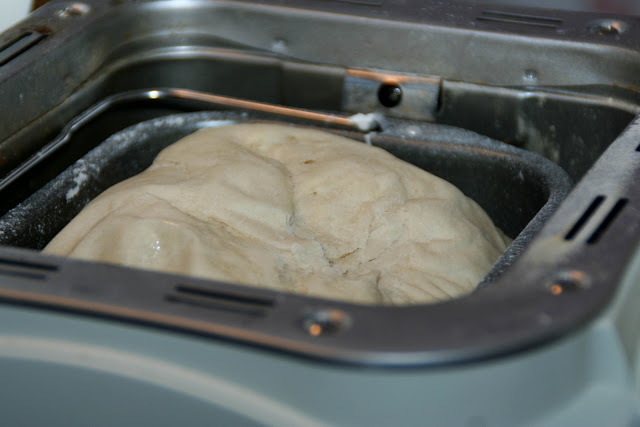 Frozen dough or your own homemade recipe would work just as well. I don't have a recipe per se, but I sure no how to throw a bunch of ingredients together and get the same result each time. 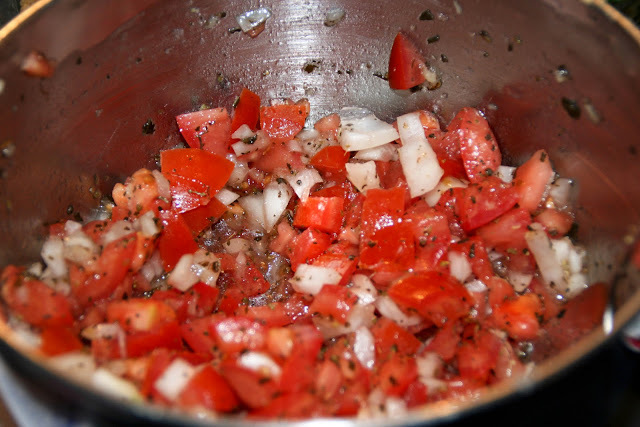 I chop up four Roma tomatoes, a handful of onion, two tablespoons basil in oil(give or take-I like to see green), 2 cloves of garlic, minced, and about 2-3 tablespoons olive oil. I also toss in some oregano and pizza seasoning before mixing it all together. I usually start this before my bread is done, and mix it in a plastic bag, leaving time for it to marinate in the fridge while the dough does its thing. 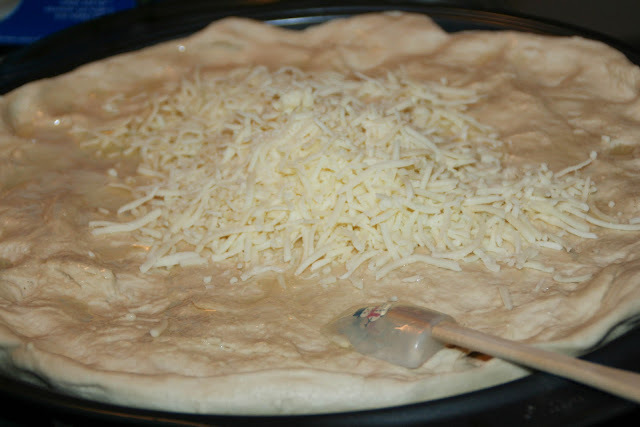 When the dough is finished, I spread it out on my pan, spread more olive oil as the first layer and top with cheese. I use mozzarella and shredded parmesan. 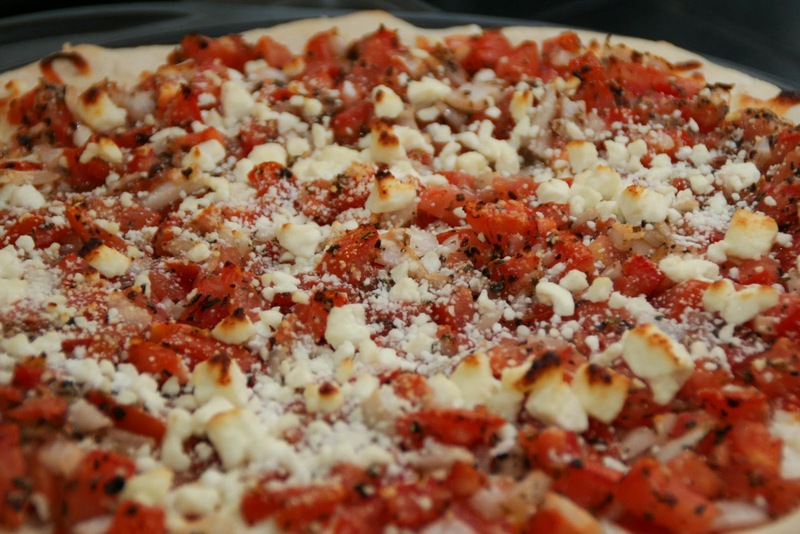 Then I top with pepperoni, add the tomato mixture, and top with feta cheese. Cook in preheated oven at 500 degrees for 9-11 minutes. If you have an oven that runs hot, check it sooner than that and adjust accordingly. 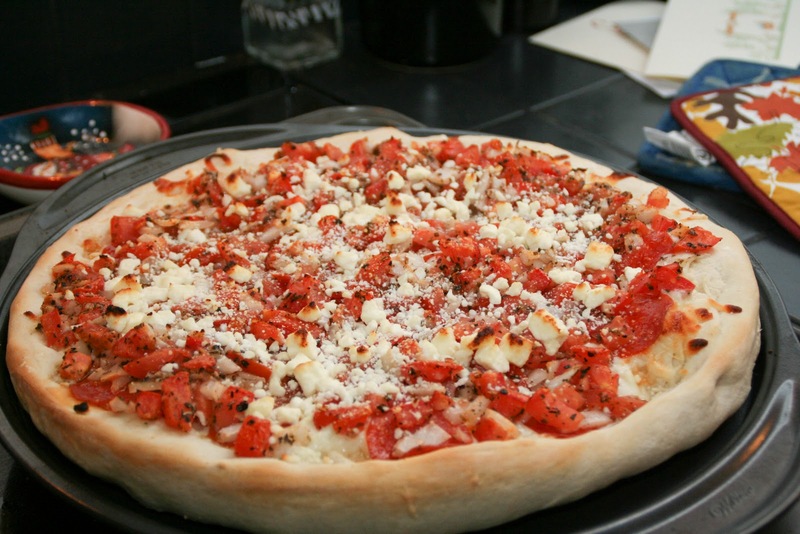 Allowing husband to fulfill lifelong desire to imagine himself as pizzeria chef by tossing pizza in the air as you yell threats over possibility of dough landing on floor or light fixture. Eating unimaginable amount of feta cheese as you top the pizza. Eating half of the pizza in general.